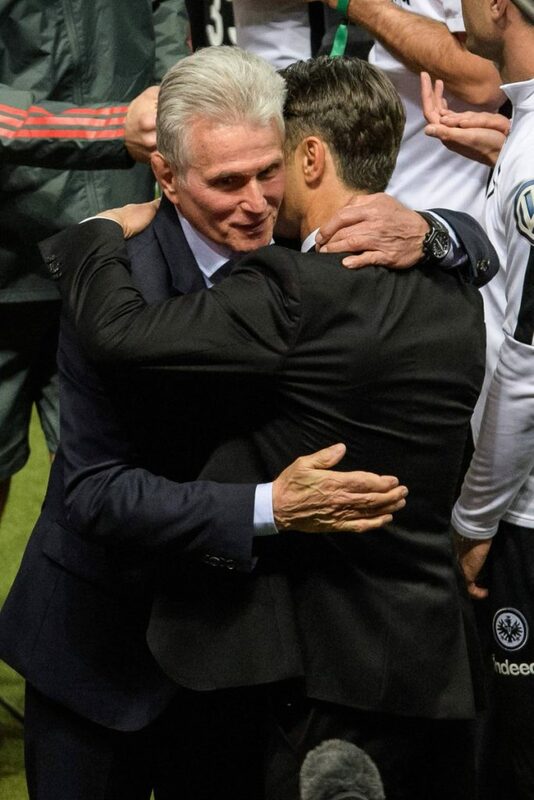 Eintracht Frankfurt denied Bayern Munich and Jupp Heynckes a League and Cup double as they upset the Bavarian giants 3-1 in the DFB Pokal final. Frankfurt, who had lost the 2017 final to Dortmund, picked up the win thanks to Ante Rebic’s double, and will be competing in the Europa League season. Their manager, Niko Kovac, will be Bayern’s manager next season, and his first competitive game might be against his former charges when the two lock horns in the Super Cup. It was a disappointing result for Bayern, who had been undefeated in their last fourteen games against Frankfurt going into this final in Berlin. VAR again played a factor with Bayern claiming that Rebic’s second goal shouldn’t have been allowed because of a handball in the buildup. They were further incensed when Boateng’s kick on Martinez was not deemed worth of a penalty, with referee Felix Zwayer awarding a corner instead.